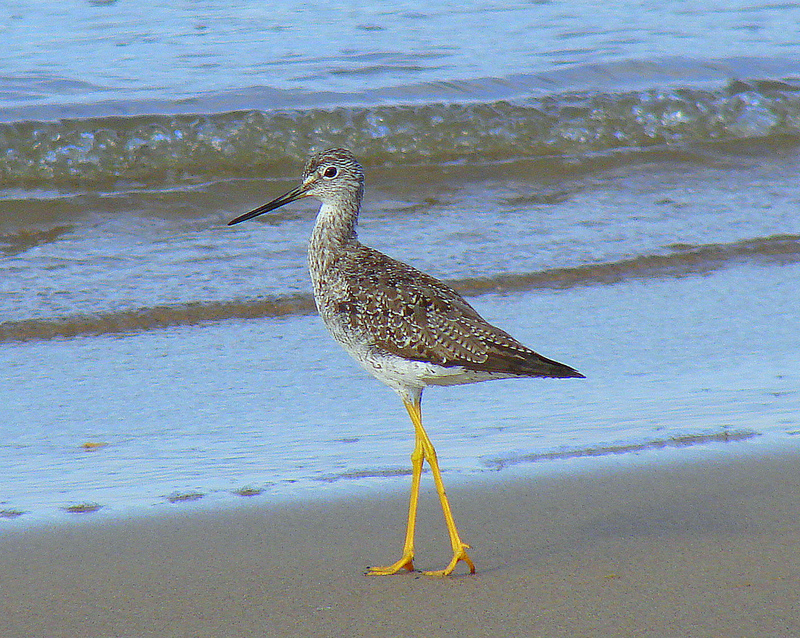 The Greater Yellowlegs is a species that breeds in North America and only rarely crosses the ocean. Every year it is seen in the UK and Ireland. 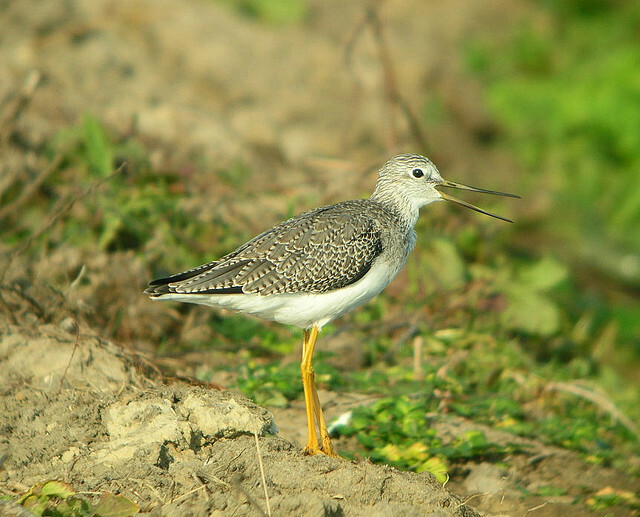 As the name implies, the long yellow legs are striking.